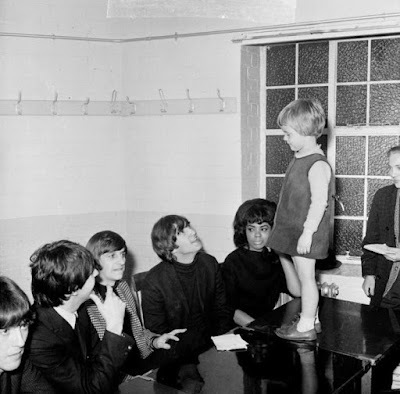 The Beatles and Mary Wells with young fan, Karen Spence on October 10, 1964. Karen and John had both celebrated their birthdays the day before. 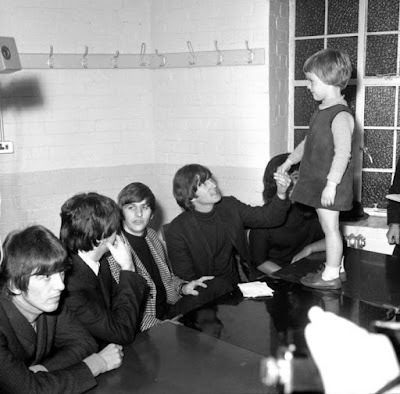 This was 9th October 1964 at the Bradford Gaumont. October 10 must be the photo file date,. 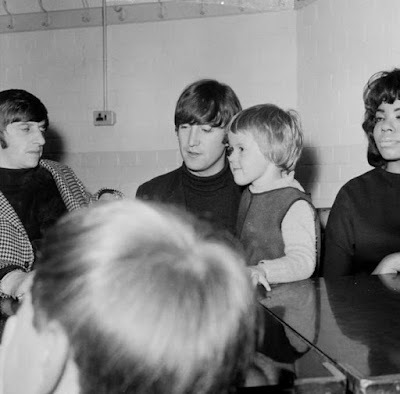 This little moment with the girl & John is so precious! 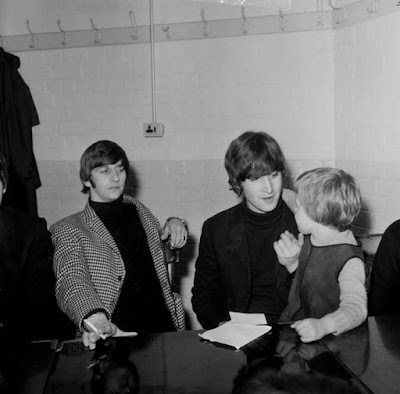 Ringo 's expression says it all...it was so awwww! I also appeared in the same programme that Michael Portillo made at the Gaumont/Odeon in Bradford last year - I am the theatre's "Historian" that took him around in roof voids etc!!! Can you drop me a line at puddyplumes@aol.com ? I have some exciting news for you!